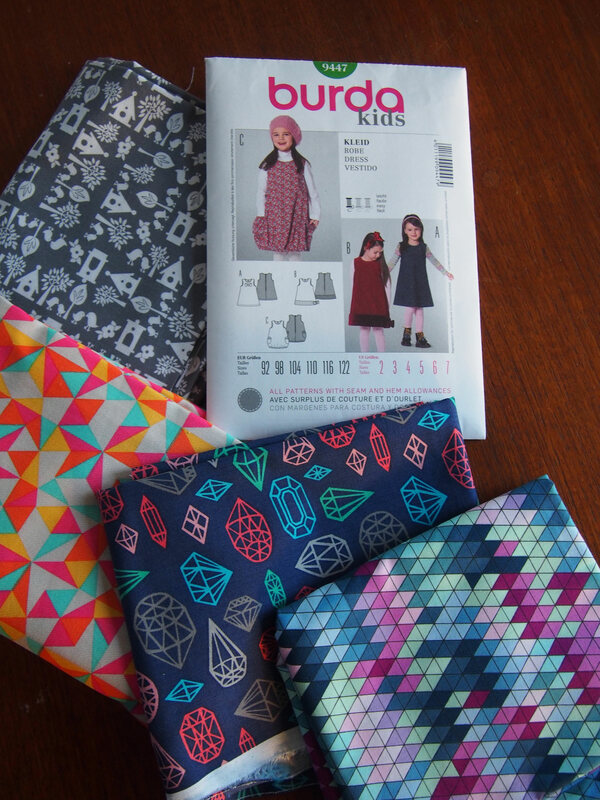 I found a gorgeous pattern for Clara when Spotlight had 3 for $10 patterns, and then I found one for me that is embarrassingly similar. Now, I’m not into matching clothing, but I loved both, so they’ve been cut out and now I just have to choose what fabric to use. I used to cut the patterns directly, but now that I’m making more children’s clothes, and will use a greater range of sizes, I’ve started tracing them in single sizes, and using those instead of the original. 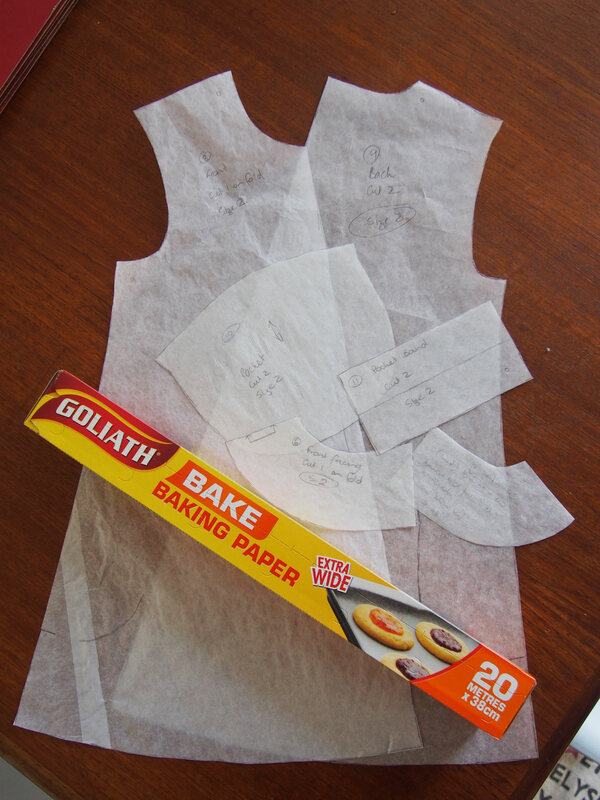 I’m loving using baking paper from Aldi for the job and at $3.80 for an extra wide, 20m roll, it’s a bargain. We’re going to a wedding in March, so I’m going to have a go at making a nice cocktail dress for me. Last time I went shopping it was mission impossible to find something that fit my strange new (and temporary!) body shape. Hopefully the pattern I’ve chosen for myself will be flattering, and I was even planning on hacking it a little, because I loooooove this gorgeous dress from Anthropologie, and am thinking I can replicate the neckline. 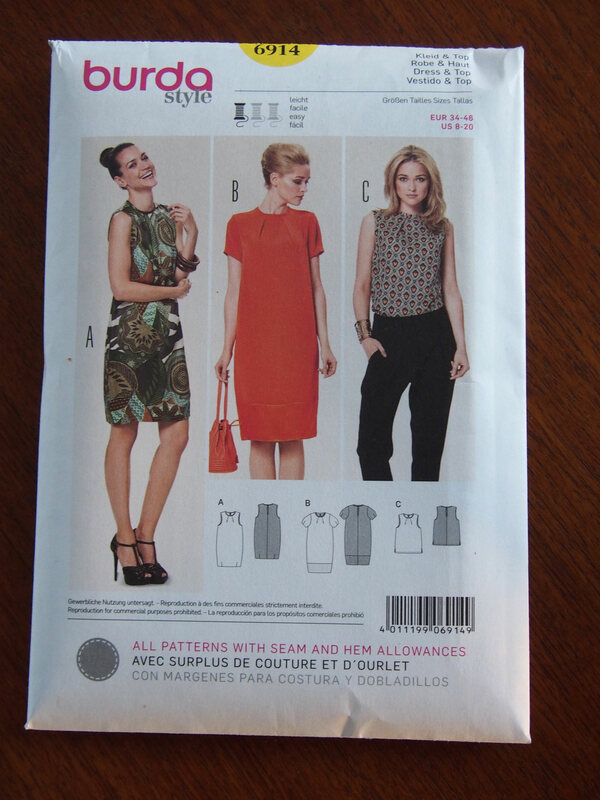 The dress on the left is the one I’ll have a go at hacking, after doing a test run of the unchanged pattern.